TORONTO -- The POT stock ticker has been allocated by random lottery to a publicly listed company, but Canada's largest stock exchange operator is not naming the company or the industry of the winner of the coveted symbol. 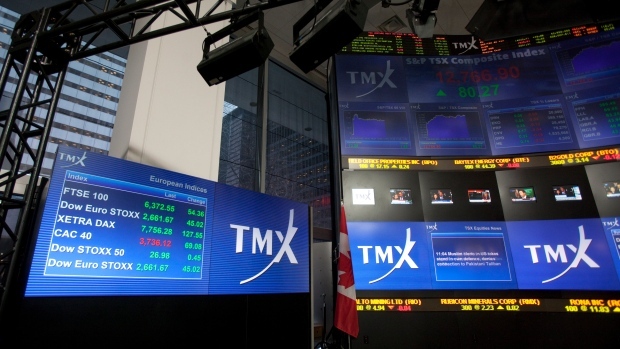 Roughly 40 eligible ballots were submitted to participating exchanges -- the Toronto Stock Exchange, the TSX Venture Exchange, the Canadian Securities Exchange and the Aequitas NEO Exchange -- and a currently listed company was selected, the TMX Group said. However, it would not disclose the name of the company or the industry of the firm which now can use the cannabis-themed ticker. "The company will be notified by their exchange, it is up to the company to make an announcement," said Catherine Kee, a spokeswoman for TMX, which operates the Toronto Stock Exchange and the TSX Venture Exchange. The POT symbol became available after fertilizer Potash Corp. officially merged with Agrium Inc. in early 2018 to become Nutrien Ltd., which now trades under NTR. The ticker is set to become available for reservation and usage as of Friday, and "significant demand" for the catchy stock symbol prompted the exchanges to allocate the POT ticker via random lottery. Interested parties had until Jan. 29 to throw their name into the hat. Currently listed firms and companies looking to list were able to enter the lottery, but ETF providers were not eligible, according to a joint notice posted by the exchanges. "This was a collaborative process, and as stated in the joint communication issued by Canadian exchanges, 'exchange traded funds and issuers that do not have an active operating business were not eligible to participate'," Kee said in an email. Although the ticker can be used as early as Friday, the winning issuer will have up to 90 days following the lottery to change its symbol to POT. Extensions beyond 90 days will not be provided, the exchanges said in the joint notice, and if it is not used by then another lottery will be conducted. The ticker would likely be attractive to a player in the cannabis industry, but the exchanges did not say whether pot companies were among those who expressed interest. Canopy Growth Corp.'s co-chief executive Bruce Linton said it was eyeing the ticker, not for the licensed producer itself, but one of the various companies it has invested in. For example, its venture capital arm Canopy Rivers has several invested companies planning to go public, he said. Canopy had originally wanted the POT ticker for itself, but it was still held by Potash at the time, he said. The Smiths Falls, Ont.-based cannabis producer started trading as CGC but changed the symbol to WEED on the TSX in 2017. The eye-catching ticker has been useful, Linton said. "It helped at the right time and the right place, when your ticker was a salacious topic, because it's 'weed.'... It's served its purpose."